Loads of Classic Ford spares have been building up in our Essex store for over a quarter of a century. Since we opened our doors way back in 1981, we have been providing the Ford drivers of Essex with the kind of parts and items, that they couldn't get anywhere else. But as the popularity of these old Ford's died out, so did the need for the parts and spares. Which led to many motor factors in Essex and the UK, stopping supplying them, as they moved onto newer models. But we never did, as we knew there would always be a market. 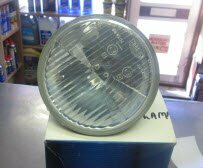 From lights units for Ford Zephyrs, to Water pumps for Capri's, Cortinas and other famous models, we are quite surprised at what we have in stock. Boxes and boxes of the stuff. 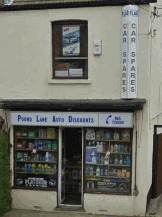 So we thought we would start putting the items on our site, so you searchers of Classic Ford Spares can have a look around. And who knows perhaps you might want to buy one or two.......or three or four. So come back often, as we continue to add whatever we find on our premises, and perhaps we will bring to the surface just the thing that you have been looking for over the last few years. Take a look at all the new and still boxed headlamps, indicators, and rear lenses that we can presently offer. All of them have never been used, although some of the packaging has got a little old over the years. The photos were all taken on our premises.